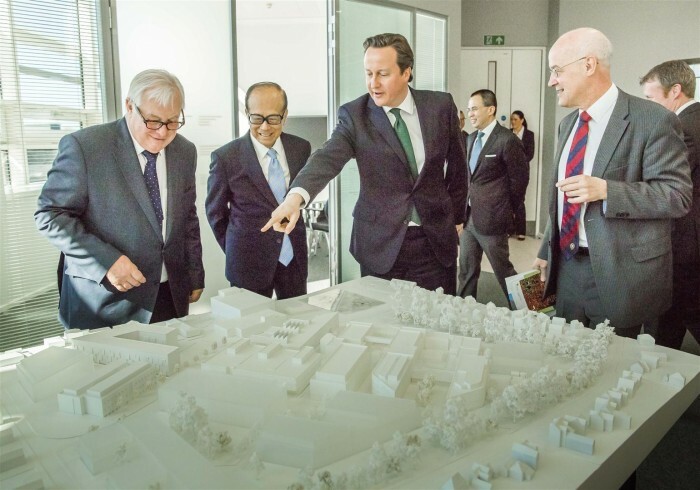 (From left) Chancellor of Oxford University Lord Pattern, Mr Li Ka-shing, UK Prime Minister David Cameron and the Vice-Chancellor of Oxford University Professor Andrew Hamilton, visit the model of the new Li Ka Shing Centre for Health Information and Discovery. 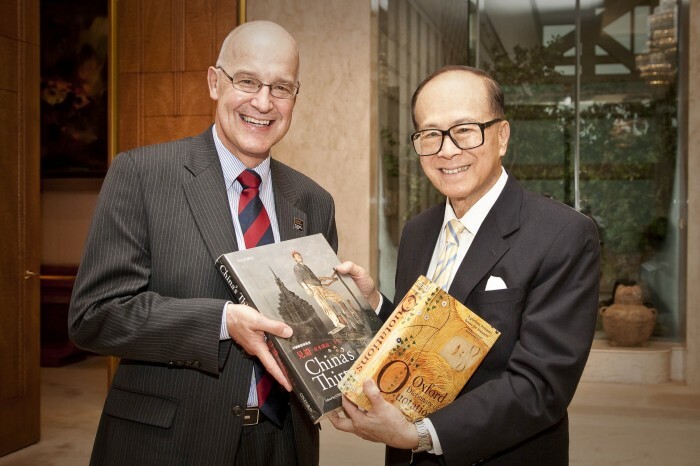 Vice-Chancellor of the University of Oxford Professor Andrew Hamilton presents Sir Ka-shing Li with two recent publications from Oxford University Press – Oxford Dictionary of Quotations and China’s Thirty Years – recognising the extraordinary achievements of China over the past years as well as demonstrating the University’s commitment to increased partnership with the country. 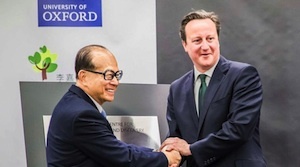 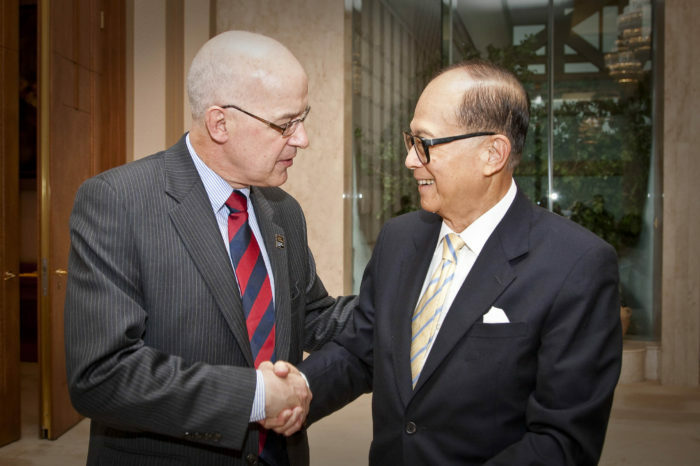 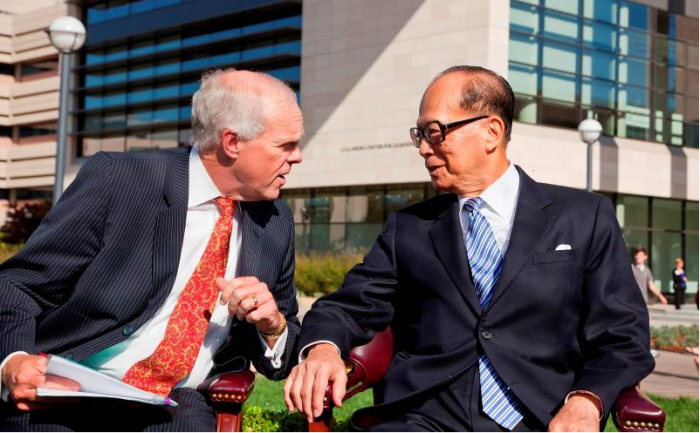 Vice-Chancellor of the University of Oxford Professor Andrew Hamilton expresses thanks to Sir Ka-shing Li for his generous donation of £5 million to support the University’s Global Health Programme.